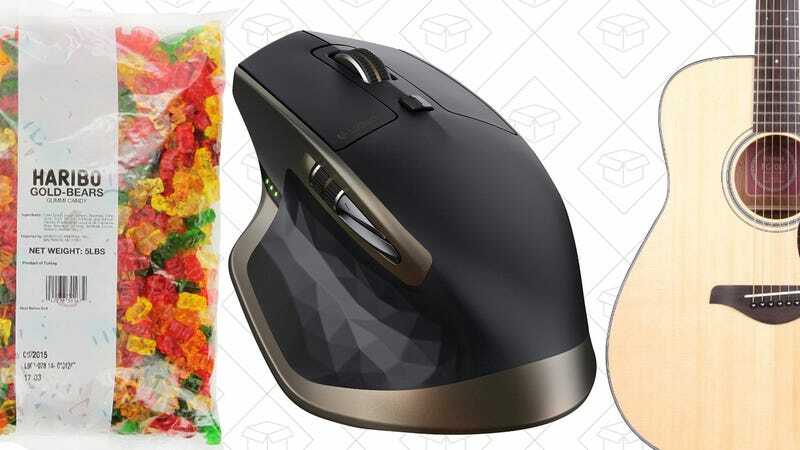 Logitech’s flagship mouse, five pounds of Haribo Gold Bears, and Yamaha music equipment lead off Monday’s best deals. 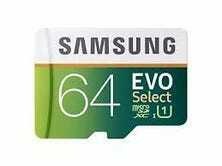 Update 2: Back in stock at Amazon. Update: Sold out on Amazon, but you can still buy it here. 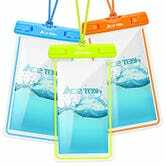 $70 is the best price we’ve ever seen, but I wouldn’t expect it to last, so click on over to Amazon to lock in your order. 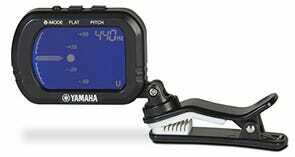 Need some gear to start the next hit band? 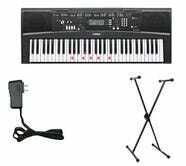 Amazon’s running a Gold Box deal on keyboards, guitars, tuners, and mixers from Yamaha, today only. 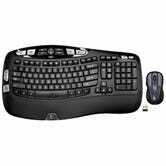 Prices start at just $100 for an acoustic guitar, or $145 for a keyboard, but be sure to head over to Amazon to see all of the deals. J.Crew Factory’s clearance section has everything you need for a summer wedding, a trip to the beach, and ever occasion in between, and you can save an extra 50% on the already discounted prices today with code EXTRA50. Anker makes surge protectors now, and naturally, they come packed with PowerIQ USB charging ports for your mobile devices as well. This model features six AC outlets, four USBs, and an 18 month warranty backed by the same company that makes your favorite battery packs, Bluetooth headphones, and more. It normally sells for $30, but while supplies last, it’s marked down to $25. 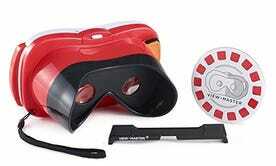 It’s not as advanced as a Samsung Gear VR or Oculus Rift, but if you have a smartphone and $13, you can experience VR with this View-Master VR starter set. The View-Master is actually just a Google Cardboard-compatible VR headset, except, you know, it’s not made of cardboard. It was down to $13 briefly on Prime Day, but if you missed it in the deluge of deals, here’s another chance. 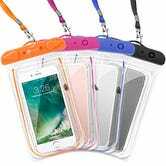 Smartphone dry bags are must-pack items for any trip to the beach, and you can get three of them for $10, or four for $13 today with these deals. If you still haven’t upgraded your home network to 802.11ac, the Wirecutter-recommended TP-LINK’s Archer C7 router is down to $85 on Amazon today, the best price they’ve listed in months. VIZIO’s new P-Series 4K TVs feature DolbyVision HDR, built-in Google Cast, and even 6" Android tablets as remotes. And while we’ve yet to see a discount on them, the baseline 50" model is available for its standard $1,000 today, but with a $250 Dell promo gift card tossed in for good measure. Just note that while these gift cards are only valid for 90 days, you can use them on anything Dell sells, including sound bars, game consoles, and of course, computers. Pint glasses are nature’s perfect drinking vessels for any kind of cold beverage, and Amazon will sell you 10 for just $13 right now. Bottoms up. Update: Tragically, this has sold out for now. We’ve posted deals on this five pound bag of Haribo Gold Bears a few times in the past, but today’s the first time we’ve ever seen it dip below $10. It’s listed as an add-on item though, so to get it shipped free, you’ll need to buy it as part of another order, or through Amazon’s Subscribe & Save program. Also, fear not, these aren’t the sugar free ones that famously do horrible things to you body. 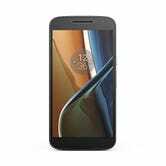 Moto G Fourth Generation, $150. Discount shown at checkout. 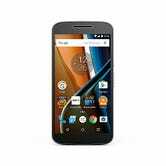 For a limited time, Amazon’s taking $50 off the brand new fourth generation Moto G, bringing it down to an absurdly cheap $150. You might recall that Amazon started offering this deal on the “Special Offers” version of this phone, which included lockscreen ads, but now, it’s available on the standard model as well. Discount shown at checkout. If you’re really feeling frugal, the Prime Exclusive special edition offer has been bumped up to a $25 discount, plus a $50 gift card, effectively bringing it down to $125. If CVS is your pharmacy of choice, this discounted gift card is essentially free money. 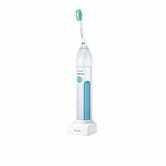 If you want to dip your toes into the world of electric toothbrushes, Philips’ entry level Sonicare Essence line is an amazing value at $20. I’ve been using this brush for years, and I still love it. You’ll have a wait out a short backorder, but just clip the $5 coupon on the page to get the deal. This is easily the best price we’ve ever seen on any Sonicare brush. $16 is a decent enough price for a four-port USB charging hub with 8A of output, but if you buy one today from RAVPower, you can get a dual-port car charger for free. Just add both to your cart, and use code JW8WRW5U at checkout. 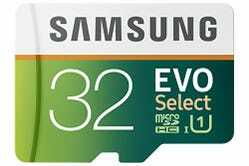 $10 for 32GB or $20 for 64GB are great prices for any brand of microSD card, but they’re basically unheard of for an 80MB/s model from a reputable manufacturer like Samsung. Just because your house or apartment doesn’t have a doorbell doesn’t mean you’ll have to rely on knocking like a caveman. This $18 kit has everything you need to install one, no wiring required. You can even choose from 52 different chimes! It’s not a Fitbit, but this $30 Garmin Vivofit has a few enticing tricks up its sleeve, if you’re in the market for a fitness tracker. Of course, the Vivofit will track your steps, your sleep, and your calories burned, but two features set it apart from the field. First, if you’re inactive for an hour, it’ll shame you with a big red bar on the screen until you get up and move around. And second, it uses a pair of cheap watch batteries for power, which can last for up to a year with zero maintenance. That’s one less thing to recharge at night. As long as you don’t mind buying a certified refurb, today’s $30 deal is about $20 less than usual, while supplies last. 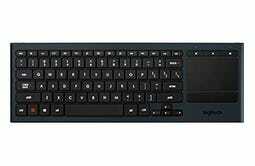 Logitech’s K380 portable keyboard can connect to up to three Bluetooth devices at once, and even adapts its key functions automatically to match the selected device’s native keyboard layout. 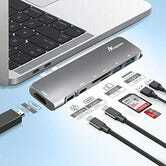 Plus, it’s really small, making it perfect for banging out some work on your phone or tablet on the go. $22 is the best price Amazon’s ever listed, but we don’t expect it to last long. 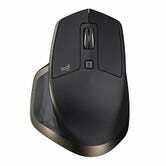 And if you missed out yesterday, the trackpad-sporting K830 is still available for an all-time low $55. We’re no strangers to USB hub deals, but this one is only $7, made of aluminum, and about as thin as physically possible, making it great for travel. That’s a winning combination. If you just have to have a selfie stick, $6 is about as cheap as they ever get. 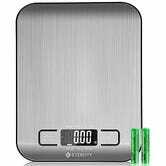 Whether you’re counting calories, baking, measuring espresso shots, or weighing small packages, a kitchen scale is a always a great tool to have on hand, and this stainless steel model looks great for just $11. 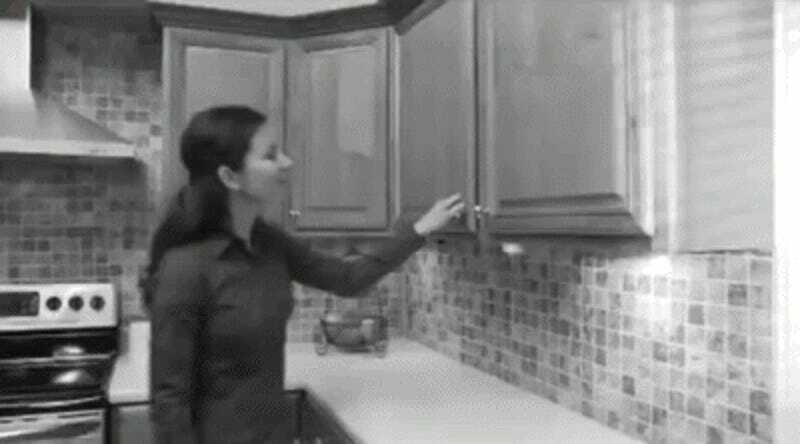 If your kitchen cabinets look like they belong in an informercial, a $10 lazy susan could be just what you need. I assume that most people who wanted an Echo bought one on Prime Day. But if you missed out, or if you accidentally bought an Amazon Tap like my boss, Ryan, you can save $40 today by buying a certified refurb. Mpow basically created the cheap Bluetooth headphone market, and their noise-cancelling Wolverine models are marked down to $15 today with code PV62UJKU, the best price we’ve seen. 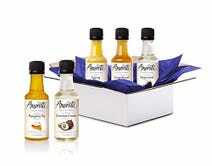 While supplies last, Amazon will sell you a sample box with eight or more Amoretti syrups for $10, and then give you a $10 credit back on a future Amoretti syrup purchase. Assuming you use the credit, that’s like getting all of the samples for free. Continuing its tireless pursuit of perfecting every conceivable commodity gadget in your home, Anker recently released a new line of essential oil diffusers and humidifiers with built-in accent lights, and the largest one is down to just $28 today, one of the best prices we’ve seen. 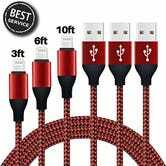 Alternatively, Anker’s 10' PowerLine Lightning cable, a Co-Op winner, is still marked down to $11. 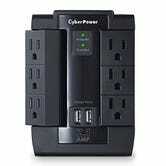 This is everything you could want in a $10 surge protector. 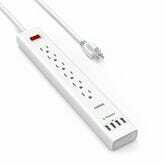 Six outlets, two USB ports, and a swiveling design that minimizes the distance the whole setup will project out from your wall once everything’s plugged in.